Meanwhile, back at our southern California conservation center a Bowsprit Tortoise hatched out naturally in an outdoor enclosure. 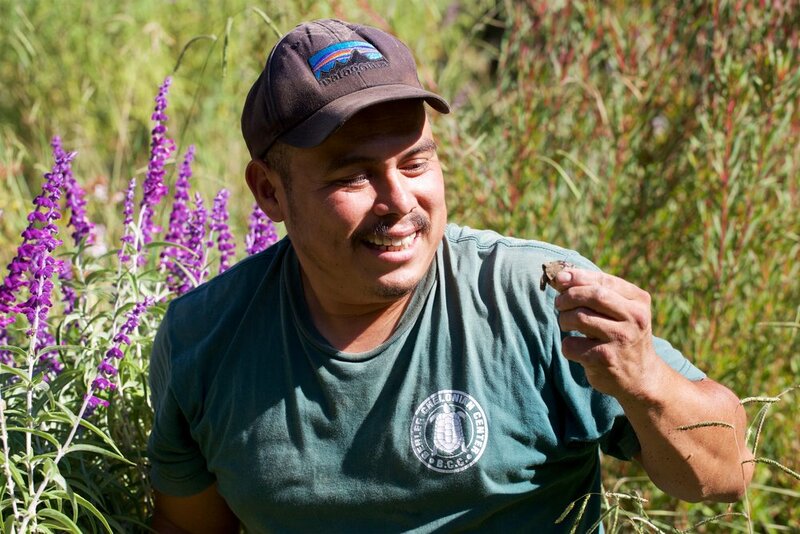 The photo above shows exactly how the tortoise was discovered hatching under sage. Funny enough, we were trying to catch a young Gopher Snake when we discovered that this tortoise had almost completely emerged from its egg. 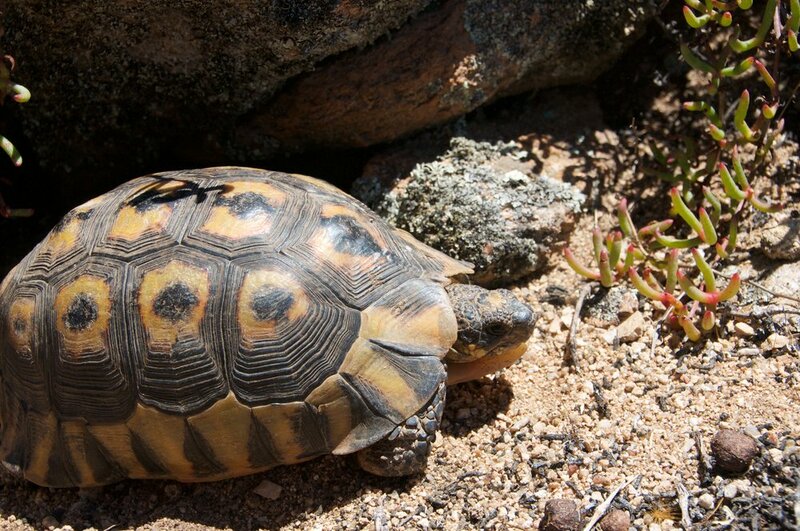 This species of tortoise lives in Namibia and South Africa (our Geometric Tortoise Reserve is protecting a group of these little guys). They live in varying climates: from a mediterranean coastal environment to an arid, desert climate in southern Namibia. Their diet includes dry grasses and succulents, as well as snails and rabbit droppings.